It Rains in February by Leila Summers has an average user rating of 4 out of 5 stars based on 48 customer reviews. I received a note from the author saying this book would be free through December 2nd. On the 24th of February 2007 my husband, Stuart, drowned himself at sea, leaving me widowed with two young daughters aged six and four. I knew it wasn’t an accident, even though the medics and police never suspected suicide. Stuart had been talking about ending his life for a year. His most recent suicide attempt had been only three weeks earlier. Afterwards, he explained that day as the most peaceful day of his life. Sitting next to the dam, he smoked his last cigarette. He drank a hundred sleeping pills and did a final check to make sure everything would look like an accident. The last thing he remembered was swimming out into the crystal clear water. He said that he was no longer scared of dying, that there was nothing scary about it. Living was the scary thing. 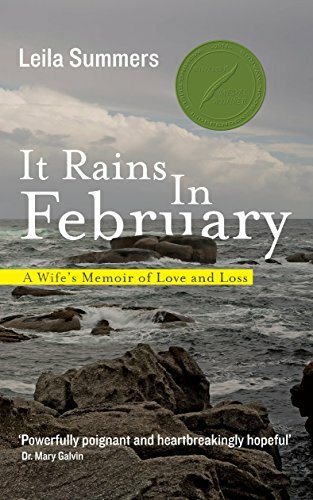 It Rains In February: A Wife’s Memoir of Love and Loss is the true story of a husband’s depression and obsession, not only with another woman, but also with ending his life. In this honest and heartfelt narrative, Leila Summers weaves a compelling tale of the year that led up to Stuart’s suicide and the grief, profound loss and self discovery that followed. Although each suicide is unique, this book gives the reader an insider’s view from one perspective by way letters and e-mail messages. USA subscribers: click here or type in http://amzn.to/Tx6ph1 into your web browser to receive your free copy. UK subscribers: click here or type in http://amzn.to/YgbW2v into your web browser to receive your free copy. 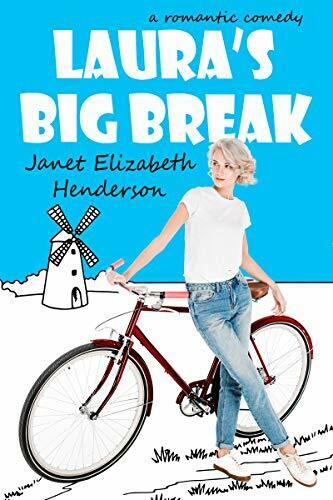 Laura’s Big Break by Janet Elizabeth Henderson has received an average user rating of 4.5 out of 5 stars based on 4 customer reviews. I received a note from the author saying this book would be free through December 3rd. USA subscribers: click here or type in http://amzn.to/QTwuLh into your web browser to receive your free copy. UK subscribers: click here or type in http://amzn.to/TxY4sI into your web browser to receive your free copy. 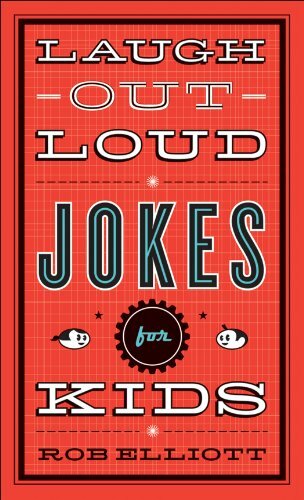 Laugh Out Loud Jokes for Kids by Rob Elliott has received an average user rating of 5 out of 5 stars based on 5 customer reviews. USA subscribers: click here or type in http://amzn.to/X9zEfj into your web browser to receive your free copy. UK subscribers: click here or type in http://amzn.to/SlhWB0 into your web browser to receive your free copy. 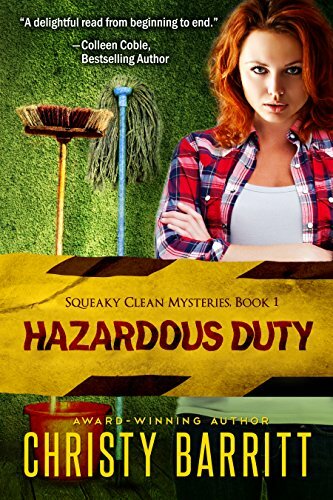 Hazardous Duty by Christy Barritt has received an average user rating of 4 out of 5 stars based on 75 customer reviews. When a routine cleaning job uncovers a murder weapon the police overlooked, she realizes that the wrong person is in jail. But the owner of the weapon is a powerful foe . . . and willing to do anything to keep Gabby quiet. USA subscribers: click here or type in http://amzn.to/VkctyD into your web browser to receive your free copy. UK subscribers: click here or type in http://amzn.to/YgeihW into your web browser to receive your free copy. 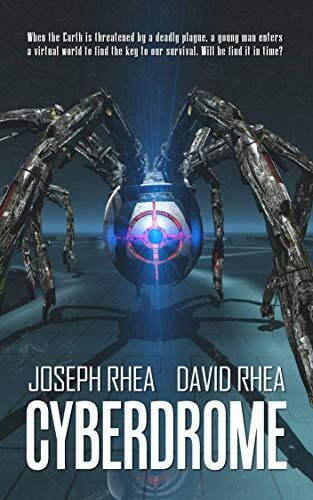 Cyberdrome by Joseph Rhea and David Rhea has received an average user rating of 4 out of 5 stars based on 41 customer reviews. 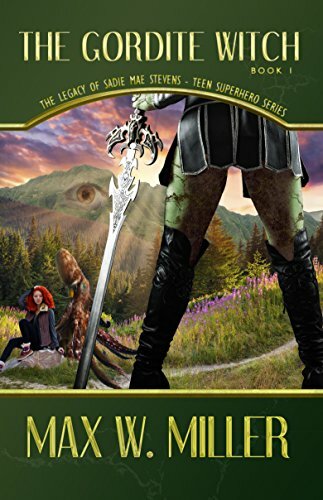 I read this one three years ago and thought it was great and rated it a 5 out of 5 stars: you can see the review I wrote if you click here or type in http://amzn.to/11sk79M into your web browser. If you think the review was helpful, I would appreciate a “Yes” vote on the Amazon website. Organize your books on your Kindle Fire with our updated Collections and Categories App! Click Here or type in http://bit.ly/firecollections into your web browser to get it now! Today’s Free App of the Day is Duke Nukem 3D Android and this game is normally $0.99 in the Amazon App Store but is free for today only. The original King of Action Heroes is back! 18 hours of alien-blasting action await you. Play the original PC version on your smartphone or Kindle Fire. This game turns your cell phone into pure adrenaline with its unbelievable 3D graphics. More aliens, weapons, and awesome levels than most human life forms can handle. You can pick up your free copy of Duke Nukem 3D Android by clicking here or typing in http://tinyurl.com/appdeal into your computer’s web browser. 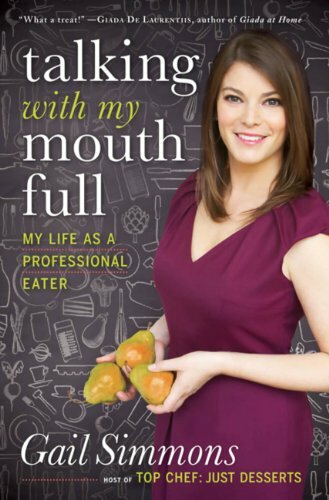 Today’s Kindle Daily Deal for adults is Talking with My Mouth Full: My Culinary Career from Line Cook to Food Writer to Professional Eater, a nonfiction / autobiographical title by Gail Simmons, and this book was $28.43 yesterday in the Amazon Kindle Store (that’s not a typo) but has been discounted 93% to just $1.99 for today only. This book has received an average user rating of 4.5 out of 5 stars based on 32 customer reviews. Today’s Kindle Kids Daily Deal is Hope Solo: My Story by Hope Solo and this book was $9.99 yesterday in the Amazon Kindle Store but has been discounted 80% to just $1.99 for today only. This book has received an average user rating of 4 out of 5 stars based on 7 customer reviews. Little did she know, those four words would become the basis for a career as a professional eater, cook, food critic, magazine editor, and television star. Today, she’s the host of Top Chef: Just Desserts, permanent judge on Top Chef, and Special Projects Director at Food & Wine magazine. She travels all over the world, eats extraordinary food, and meets fascinating people. She’s living the dream that so many of us who love to cook and eat can only imagine. But how did she get there? Talking with My Mouth Full follows her unusual and inspiring path to success, step-by-step and bite-by-bite. It takes the reader from her early years, growing up in a household where her mother ran a small cooking school, her father made his own wine, and family vacation destinations included Africa, Latin America, and the Middle East; through her adventures at culinary school in New York City and training as an apprentice in two of New York’s most acclaimed kitchens; and on to her time spent assisting Vogue’s legendary food critic Jeffrey Steingarten, working for renowned chef Daniel Boulud, and ultimately landing her current jobs at Food & Wine and on Top Chef. The book is a tribute to the incredible meals and mentors she’s had along the way, examining the somewhat unconventional but always satisfying journey she has taken in order to create a career that didn’t even exist when she first started working toward it. With memorable stories about the greatest (and worst) dishes she’s eaten, childhood and behind-the-scenes photos, and recipes from Gail’s family and her own kitchen, Talking with My Mouth Full is a true treat. You can pick up your copy of Talking with My Mouth Full: My Culinary Career from Line Cook to Food Writer to Professional Eater by clicking here or typing in http://amzn.to/kddeal into your computer’s web browser. In this young readers’ edition of Hope Solo’s exciting life story, adapted from Solo: A Memoir of Hope, the Olympic gold medalist and starting goalkeeper for the U.S. women’s national soccer team gives readers behind-the-scenes details of her life on and off the field. Solo offers a fearless female role model for the next generation, driven to succeed on her own terms. Young fans will truly be inspired by Hope’s repeated triumphs over adversity. Her relentless spirit has molded her into the person she is today—one of the most charismatic athletes in America. 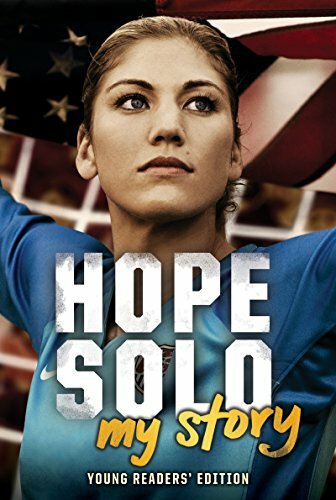 You can pick up your copy of Hope Solo: My Story by clicking here or typing in http://amzn.to/kddeal into your computer’s web browser. 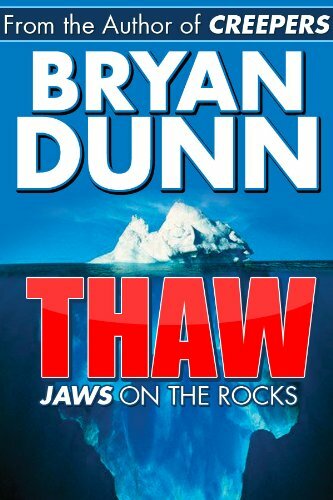 Thaw by Brian Dunn has received an average user rating of out of 4 stars based on 112 customer reviews. I received a note from the author saying this book would be free through December 1st. Arctic bush pilot Harry McNills is minding his own business and dreaming of retiring to the Caribbean–when two scientists from Cryolabs Corporation charter his plane for a scientific expedition. The beautiful young biologist Amy Tyler and her boss, the avaricious Hayden Lockwood, want to explore for freeze-tolerant organisms. Harry gets more than he bargained for when he falls for Amy and discovers an ancient terror entombed in an iceberg. A Navy team is assembled to exhume the remarkable find. But before the job is completed, something goes horribly wrong…and Harry and Amy find themselves trapped in a desperate struggle for survival. USA subscribers: click here or type in http://amzn.to/thawUSA into your web browser to receive your free copy. UK subscribers: click here or type in http://amzn.to/thawUK into your web browser to receive your free copy. 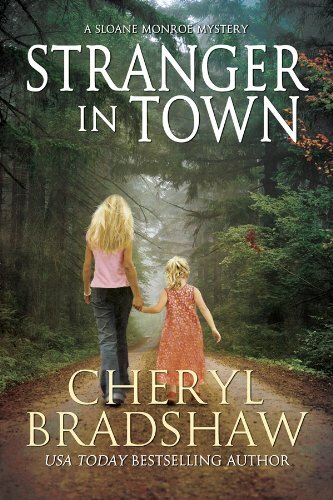 Stranger in Town by Cheryl Bradshaw has received an average user rating of 5 out of 5 stars based on 9 customer reviews. I received a note from the author saying this book would be free through December 2nd. USA subscribers: click here or type in http://amzn.to/V8BTcs into your web browser to receive your free copy. UK subscribers: click here or type in http://amzn.to/VareQO into your web browser to receive your free copy. 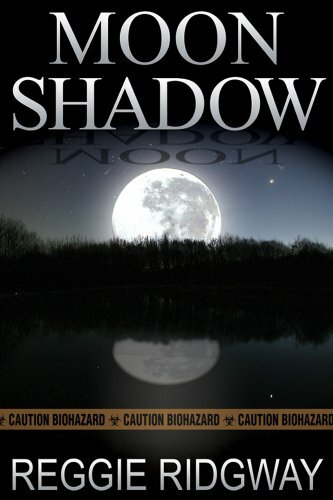 Moon Shadow by Reggie Ridgway has received an average user rating of 4.5 out of 5 stars based on 6 customer reviews. I received a note from the author saying this book would be free through December 1st. Major Pepper, who is in charge of the operation, has the local residents rounded up into a razor-wire inclosed quarantine because of the danger of a potential pandemic. Two of the residents, Trevor, a young physician, and Jodie, an Earth Project environmentalist manage to escape. Through adversity both human and nature, they are forced to fight for their lives and are pursued like fugitives. While on the run and fighting for survival, the two discover there is more to live for then exposing the Major for his treachery and his murder of innocent civilians for the greater good. USA subscribers: click here or type in http://amzn.to/QShJbq into your web browser to receive your free copy. UK subscribers: click here or type in http://amzn.to/TqxGkR into your web browser to receive your free copy. The Lucky Escape by Dr. Heather Manley has received an average user rating of 5 out of 5 stars based on 14 customer reviews. I received a note from the author saying this book would be free through December 2nd. USA subscribers: click here or type in http://amzn.to/X88KEE into your web browser to receive your free copy. UK subscribers: click here or type in http://amzn.to/V8CHy8 into your web browser to receive your free copy. 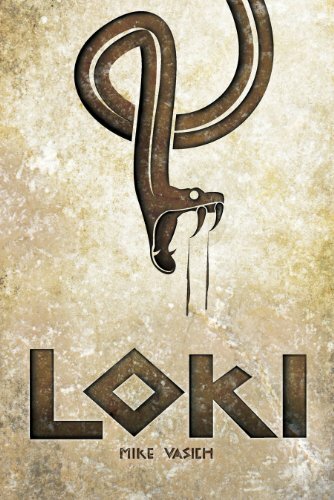 Loki by Mike Vasich has received an average user rating of 4.5 out of 5 stars based on 59 customer reviews. Exiled and tortured by the gods, Loki swears vengeance. He will summon the mighty Fenris Wolf and the legendary Midgard Serpent, and they will lead an army of giants and all the dead in Niflheim. Brimming with the power of the most destructive being in the Nine Worlds, he will not rest till Asgard is in ashes and all the gods are dead under his heel. USA subscribers: click here or type in http://amzn.to/A1ByfZ into your web browser to receive your free copy. UK subscribers: click here or type in http://amzn.to/SuHqNG into your web browser to receive your free copy. Today’s Free App of the Day is Polara and this game is normally $0.99 in the Amazon App Store but is free for today only. You can pick up your free copy of Polara by clicking here or typing in http://tinyurl.com/appdeal into your computer’s web browser. The following is a revision of a post I last posted about over the summer. The number of people reading this blog has grown quite a bit since then (and I hope some of that is attributable to folks thinking there is some value to the blog), and I thought it appropriate to repeat it: I was reminded of this post as I’ve got another big jar of coins I gathered at home while doing some much-needed cleaning of the closets! I personally don’t think we exited the recession despite our government telling us it officially ended three years ago – looking at what the global financial markets have been doing, the lack of adult behavior in Washington (no matter which party you prefer), and the out of control debt of countries across the world and no plans to reduce it makes me think it’s going to last a little longer and 2013 has a lot of challenges where adult decisions have to be made – although I certainly hope I am wrong. The fiscal cliff is real. While I do read a lot of the free books I talk about here in the blog (and the “to be read” pile is increasing, thank goodness for storage on the Kindle) I still enjoy certain authors and will purchase a lot of books. Some of them are inexpensive offerings from independent authors and some are from your mainstream “big name” authors, and I don’t care what the price is – I’ve gottagetitnow. Well, I do care what the price is but I may just wait until it gets below $10 for most offerings. I’m sure there are offerings by favorite authors you want to buy, too. Most of you have seen the change conversion machines in grocery and other stores, and a lot of you have used them: you take in your coffee can of loose change, dump it in the hopper, the machine counts it and then spits out a receipt you take to the cash register to redeem for paper currency or a credit in the store. The one main drawback to these machines, to me, is a lot of them take an 9.8% or more commission / cut of whatever you brought in as their profit. For example, at an 9.8% commission rate you would need to bring in $11.09 worth of change to receive a $10 bill. Some people will say “so what” and accept that as a cost of doing business vs. rolling the money yourself and either turning it in to a bank (if they accept the change these days – my local branch of Bank of America does not) or taking it to a convenience store who needs it and having everyone behind you steam as you and the convenience store clerk count out a bagful of pennies. If you were following along and did the math to see what the effective annual interest rate is on my $11.09 example above, great. If you didn’t, I’ve performed the calculation for you: assuming the vendor collects the change from the machine every three days and takes it to their bank, that 9.8% rate for a three day holding period converts to a whopping 1192.3% annual interest rate (9.8% over three days equals a 3.27% daily rate, multiplied by 365 days per year). The grocery store usually splits the fee earned 50-50 with the owner of the equipment, but even if the grocery store is providing a three day loan to the equipment maker until they are reimbursed, that is one heck of a money maker (why didn’t I think of that?)! Coinstar is one of the largest providers in the USA of this equipment to stores; they are also the parent company behind the Redbox DVD rental machines you seem to see everywhere. They have partnered with Amazon and other companies to not charge you a fee for the change you bring in if you bring in a minimum of $5.00 worth of change, but they will give you a gift card eligible for 100% of the change you bring in to be used at the Amazon website; I am assuming Amazon is paying the 9.8% commission fee as a customer acquisition cost. That’s actually a huge benefit for you and me as we feed our Kindle book addiction. Using my earlier example, if you brought in $11.09 worth of change and selected the Amazon gift card option, you would get a $11.09 Amazon gift card as your receipt. You would then enter the gift card details on your Amazon account on your computer (or Kindle, if the wireless feature is on with the browser pointed to the Amazon website). You can then use those funds now applied to your account and buy not only Kindle books but anything else on the Amazon website. You also don’t have to roll the coins yourself or, if your house is like mine, have a couple of containers here and there full of spare change. You’re also not giving up any of your money as a commission just for someone to accept your spare change. I hope that’s change you can believe in as we move forward into 2013 (political pun intended). Coinstar has partnered with other companies in addition to Amazon to offer gift cards with no fee to you – you turn in $11.09 worth of coins, you get a $11.09 gift card to the Amazon store or to the other store(s) participating in the program; Coinstar is also running a program right now if you put in $40 worth of coints, they will give you an extra $10 on your iTunes, Old Navy, or Dell eGift cards. While Coinstar is one of the largest providers of this equipment to stores in the USA, they are not the only one so don’t assume your local grocery store is a Coinstar machine. To find a Coinstar machine, you can point your web browser to http://www.coinstar.com and do two things from this page: (1) enter your zip code in the top right-hand corner to find a Coinstar machine near you, and (2) see a list of companies that have signed up for the gift card promotion by clicking “details” under the name of the store / retail location. When I just did the same for a location near me, in addition to an Amazon gift card my selections were to Kroger, JC Penney, Lowes, iTunes, Gap, and a few others. You can also donate the change to eight different charities vs. taking a gift card, and the charity will receive 100% of the proceeds. My old quart-sized Mason Jar I use to hold my change is about two-thirds full of silver coins, plus I have another jar full of pennies, so it’s off to the Coinstar machine on the way home from work today! As many of you know, I do correspond with the blog readers via email…sometimes it just takes me a while! I’ve been corresponding recently with blog reader Delena Bunte about how she has been using a Kindle Fire and how it has helped out her in life and some of the tips and tricks she has learned on her own or through others to make her life a little easier. A lot of people have done the same with their Kindles, so some of you may be asking “why is this unusual?” Well, that’s because Delena is disabled: she had a stroke and is paralyzed on the right side of her body and has a visual impairment as the result of diabetes. Please read on to learn some of the tips and tricks Delena shares with us, as I learned a few things after reading this! After a stroke and diabetes left me paralyzed and visually impaired, using my laptop became problematic and large print books were sometimes difficult to read. Without two of my favorite pastimes, I became isolated from the world. Then I saw a commercial for a Kindle Fire, bought one and it quickly became my digital flying carpet as I explored the world again. Initially, I thought that I would get all my e-books from the public library system. But, Amazon has so many books available and, with resources such as Free Kindle Books and Tips and the Kindle to help navigate the course, it’s easy to build a personal digital library. Click books on your home screen, then go to “store” and enter “free books” in the search box. Search parameters can be narrowed, i.e. “historical fiction free books.” I “buy” most of my free books from the Kindle Store rather than from Amazon.com because the entire store is set up with white words on a black background which is easier for me to see. I use the same reverse color mode when I read a book. Click on “Aa” at the bottom of any page and you’ll see a pop up menu with view options for font style, typeface, line spacing, margins and color mode. I can increase the size of any image in a Kindle book by placing my finger on the image until the magnifying glass appears. Then I tap on it to enlarge the image and tap again to return it to its normal size. I can also zoom in and out by pinching my fingers. I enjoy discovering new authors and writing book reviews. I always give constructive criticism. With the current self-publishing movement, it’s much-needed and I think that it’s the only helpful kind of review for an author. I spend 95% of my life in a fancy chair that even converts to my bed. I average about twelve hours a day on my Kindle Fire. Obviously, I do a lot more than read books. For starters, I follow the news closely from a variety of online sites and sources. Late at night or whenever I hear a lot of sirens, I listen to the police scanner. Yes, there’s an app for that. Speaking of apps, my advice is that if you see one in the app store that looks interesting and you are comfortable with the application permissions, the file size and you’ve read the reviews, try it. I seldom pay money for an app; but, even if I do they’re very inexpensive. I’ve tried quite a few different things including playing a harp, pinball, jigsaw puzzles, all sorts of word games, a prayer record, solitaire, hidden object scenarios, genealogy, mahjong, Bible study, photo editing and meditation. FYI, it is increasingly common to find “powerups” or other “premium” content for purchase during a game. Remember, this requires actual money. Because the vast majority of apps are designed to be used with a stylus, I find them user friendly. Almost all of the greeting cards that I send to people are e-cards. The variety available is endless and I am able to personalize them to make them unique. Almost all of my gift shopping is done on my Kindle Fire. Social interaction remains a fundamental human need. One of the tools that many people use to get this need met in the 21st century is through social media. As with any activity involving the Internet, a person needs to exercise all the safety precautions to protect your identity and privacy that a reasonable and prudent person would take. My body is broken, but my mind still functions relatively well. My doctor told me this pearl of wisdom, “In order to live a truly contented life, a person needs three things: someone to love; something to look forward to; and, a purpose for living.” My primary purpose for living has always been helping people. Just because I’m not a paid professional helper anymore doesn’t mean that I can’t still help people. I mentor several people by email and I help others by participating in an online support group. I’ve made new friends while chatting during word games. I remain current in the lives of younger family members through texting. The single thing I appreciate the most about my Kindle Fire is that the majority of things that I do with it, I do in the same way that the majority of other people do them. It is intended to be held and manipulated with one hand. It is a refreshing change for me, as a differently abled person, not to have to adapt my behavior in order to use something. Normalcy can be such an extraordinary thing. 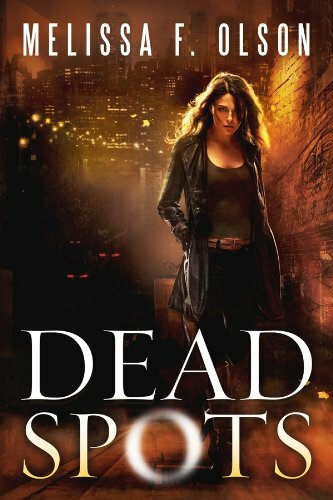 Today’s Kindle Daily Deal for adults is Dead Spots, a contemporary fantasy by Melissa F. Olson, and this book was $9.99 yesterday in the Amazon Kindle Store but has been discounted 80% to just $1.99 for today only. This book has received an average user rating of 4 out of 5 stars based on 33 customer reviews. 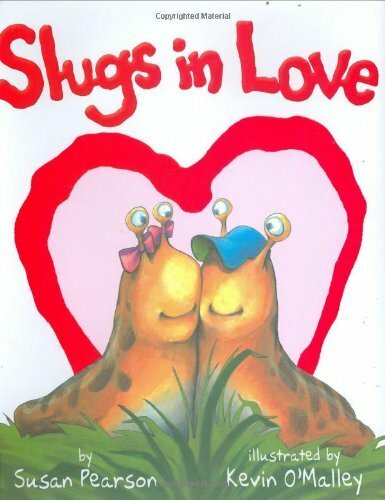 Today’s Kindle Kids Daily Deal is Slugs in Love by Susan Pearson and Kevin O’Malley and this book was $9.99 yesterday in the Amazon Kindle Store but has been discounted 80% to just $1.99 for today only. This book has received an average user rating of 5 out of 5 stars based on 12 customer reviews. You can pick up your copy of Dead Spots by clicking here or typing in http://amzn.to/kddeal into your computer’s web browser. You can pick up your copy of Slugs in Love by clicking here or typing in http://amzn.to/kddeal into your computer’s web browser. Here are four FREE Kindle books for you to start off your Thursday morning: as of this posting, each of the books was free on the Amazon website but please make sure you check the pricing before you smack the “buy” button as the pricing can (and does) change at any time! 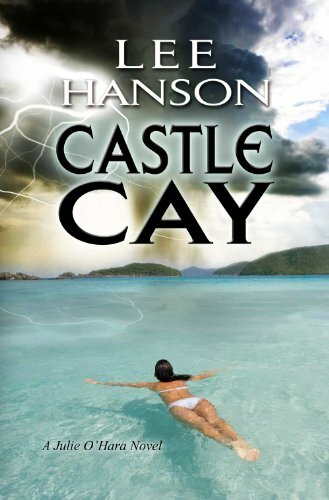 Castle Cay by Lee Hansonhas received an average user rating of 4 out of 5 stars based on 43 customer reviews. I received a note from the publisher saying this book would be free through December 3rd. When her best friend is murdered, Julie O’Hara, a body language expert, packs up her suspicion and flies to Boston for his funeral. Who could have killed rising artist Marc Solomon, and what does Castle Cay, the Solomon’s mysterious Caribbean island, have to do with it? Before long, Julie’s sixth-sense pulls a hidden string that unravels a deadly conspiracy…and her own troubled past. USA subscribers: click here or type in http://amzn.to/JFHNNT into your web browser to receive your free copy. UK subscribers: click here or type in http://tinyurl.com/8j9nz6z into your web browser to receive your free copy. Fatal Embrace by Aris Whittier has received an average user rating of 4 out of 5 stars based on 34 customer reviews. I received a note from the author saying this would be free through December 1st. High-spirited horse trainer Jessica Stanson stumbles into the perfect job on one of the most elite ranches in Montana. Or at least it would be if her boss, ex-detective Michael Carven, stopped acting like he didn’t want her there. Jessica has to prove herself to him on the ranch, and also try to penetrate his armor to get to the man inside. Michael Carven is a man who has left a difficult past behind him, and now works at his dream job raising horses under the Montana sky. But he knows that the past has a way of coming back to him, and soon enough, it does. A wave of violence hits the nearby small town of Riverside, nestled deep in the mountains, as a cunning serial killer preys on the population. Against his will, Michael finds himself both drawn into the case and coming to care for his independent new trainer. And if having a killer on the loose wasn’t enough, his two worlds collide when Jessica becomes the only material witness in the case. Before it is over, Michael and Jessica will put everything they know and hold dear on the line to catch a vicious, cunning killer – and to protect each other as well. USA subscribers: click here or type in http://amzn.to/V5t6Is into your web browser to receive your free copy. UK subscribers: click here or type in http://amzn.to/SgDSgK into your web browser to receive your free copy. 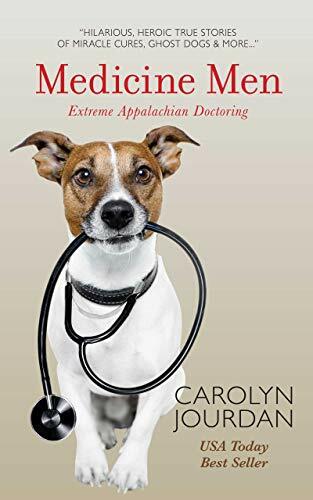 Medicine Men: Extreme Appalachian Doctoring by Carolyn Jourdan has received an average user rating of 5 out of 5 stars based on 5 customer reviews. I received a note from the author saying this book would be free through November 30th. USA subscribers: click here or type in http://amzn.to/X3LhEA into your web browser to receive your free copy. UK subscribers: click here or type in http://amzn.to/112aMpO into your web browser to receive your free copy. 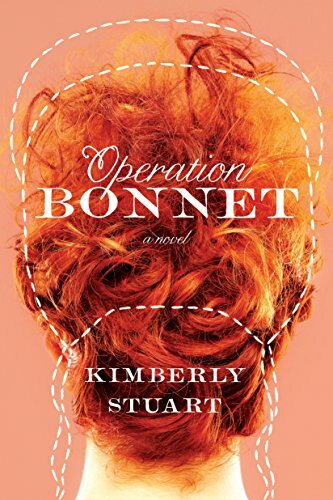 Operation Bonnet: A Novel by Kimberly Stuart has received an average user rating of 4.5 out of 5 stars based on 67 customer reviews. Twenty-year-old Nellie Monroe has a restless brilliance that makes her a bit of an odd duck. She wants to be a private investigator, even though her tiny hometown offers no hope of clients. But though she’s brainy, Nellie is clueless when it comes to real life and real relationships. Soon she’s alienated her best friend, angered her college professor, and botched her case. Operation Bonnet is a comedy of errors, a surprising take on love, and a story of grace. USA subscribers: click here or type in http://amzn.to/Ss5fWv into your web browser to receive your free copy. UK subscribers: click here or type in http://amzn.to/U4j6OG into your web browser to receive your free copy. For you night owls, here are five FREE Kindle books for you in the Amazon Kindle store: as of this posting, each of the books was free on the Amazon website but please make sure you check the pricing before you smack the “buy” button as the pricing can (and does) change at any time! 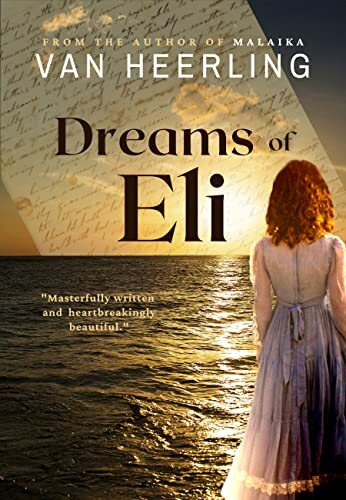 Dreams of Eli by Van Heerling has an average user rating of 5 out of 5 stars based on 4 customer reviews. I received a note from the author saying this book would be free through November 29th. USA subscribers: click here or type in http://amzn.to/VfjQas into your web browser to receive your free copy. UK subscribers: click here or type in http://amzn.to/Ts98rX into your web browser to receive your free copy. 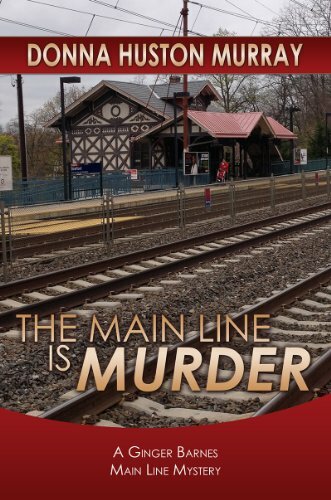 The Main Line is Murder by Donna Huston Murray has received an average user rating of 4.5 out of 5 stars based on 7 customer reviews. I received a note from the author saying this book would be free through November 30th. When her husband becomes head of a school on Philadelphia’s tony Main Line, Ginger Barnes learns that small private schools need volunteers like the national debt needs taxes. She also learns that murder on the campus can kill the school’s reputation in a heartbeat. Gin’s Mop Squad job allows her to investigate without arousing suspicion, but can she expose the murderer in time to save the school–and her family’s new home–without exposing herself? If she succeeds, will her good deed go unpunished? USA subscribers: click here or type in http://amzn.to/TqaGC9 into your web browser to receive your free copy. UK subscribers: click here or type in http://amzn.to/11g9TsW into your web browser to receive your free copy. The Legacy of Sadie Mae Stevens by Max W. Miller has received an average user rating of 5 out of 5 stars based on 5 customer reviews. I received a note from the author saying this book would be free through November 29th. USA subscribers: click here or type in http://amzn.to/Ts9EWS into your web browser to receive your free copy. UK subscribers: click here or type in http://amzn.to/SfMX9p into your web browser to receive your free copy. 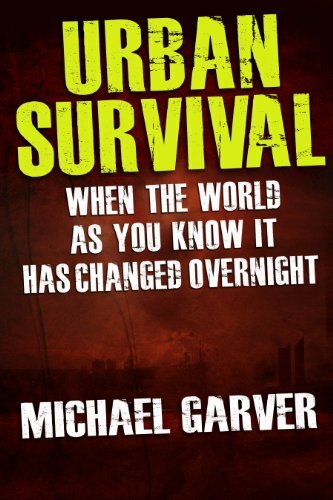 Urban Survival: When the World as You Know It Has Changed Overnight by Michael Garver has received an average user rating of 5 out of 5 stars based on 10 customer reviews. I received a note from the author saying this book would be free through November 29th. If you were suddenly thrust 150 years into the past, would you be able to survive? Disasters happen…hurricanes, earthquakes, tornadoes, a prolonged electrical outage, or even a terrorist attack…if such an event happened in your town or city, could you survive an event when the world as you know it has changed overnight? If you realize that the unthinkable could happen and you want to be prepared, then you need this book. It will show you what items you will need, how to use those items, and how you can survive for extended periods of time without power, convenience stores, or a reliable and clean water source. You will learn when you should evacuate or stay put, what to bring with you if you must evacuate, and how to handle hygiene concerns wherever you may be. It is never too early to start preparing for any crisis, and Urban Survival: When the World as You Know It Has Changed Overnight can help you get started. USA subscribers: click here or type in http://amzn.to/SuNxA1 into your web browser to receive your free copy. UK subscribers: click here or type in http://amzn.to/VfkRzk into your web browser to receive your free copy. 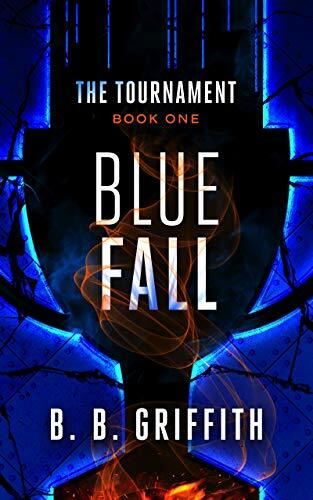 Blue Fall by B.B. Griffith has received an average user rating of 4.5 out of 5 stars based on 35 customer reviews. I received a note from the author saying this book would be free through December 1st. There was a time, long ago, when wars were won and lost based on the outcomes of single battles between heroes. Entire countries were moved. Empires rose and fell. A routine investigation throws a hapless insurance agent down the rabbit hole, into a world where the rich and powerful place wagers on the greatest game on earth. They call it the Tournament. It offers competition without limits. It is beholden to no man, constrained by no law, and it is extremely dangerous. But where does the true power lie in this World Cup of Warfare? With those who place the bets, or with the deadly players themselves? And how much longer can it possibly remain a secret? USA subscribers: click here or type in http://amzn.to/J2oVZx into your web browser to receive your free copy. UK subscribers: click here or type in http://tinyurl.com/btdmaqe into your web browser to receive your free copy.